The colours I have used to create Lavender are inspired by the lavender fields in Wiltshire, my home county. I love the combination of green and purples so I wanted to experiment using these tones. By layering different shades and by using varying brush strokes, I have created a balanced and pleasing composition. Lavender measures 65cm x 46cm and uses acrylic paints alone. 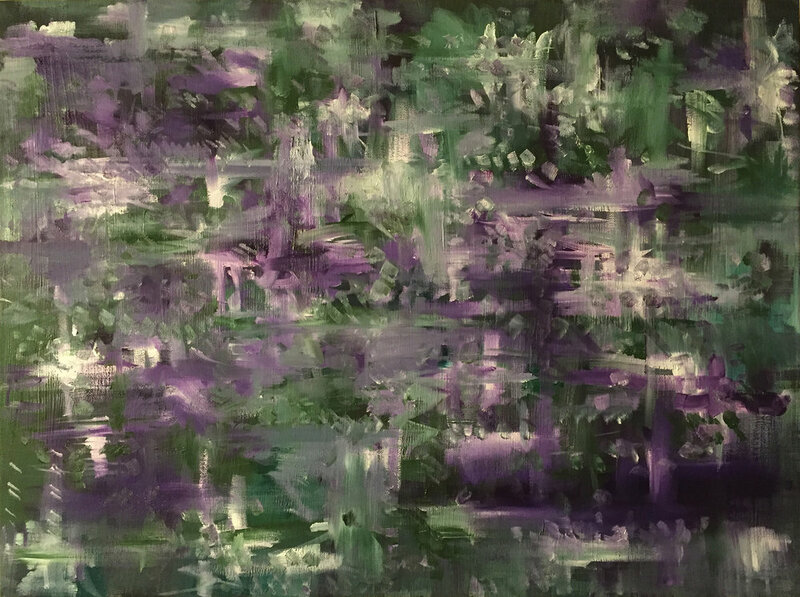 For your own Lavender inspired painting, contact me here.